August 26, 2016 – As Dickies moved into the 1980s, the brand began to align with the colorful lifestyle of the era. 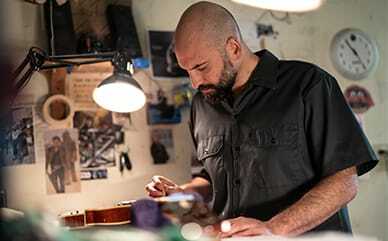 Dickies produced stretch jeans for the first time, expanded work pant styles to include practically all colors from the rainbow and partnered with Henry Slesar, the writer behind soaps like One Life to Live and As the World Turns, who also served as the Dickies’ sole advertising consultant. Slesar’s creative eye led to Dickies’ bold and bright photoshoots that match the zeitgeist of the times. 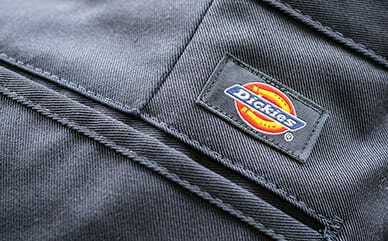 Dickies workwear – engineered to last.